Fill out the form below, and we will find the best used transmissions for sale in your area. ASAP Motors provides customers across the country with the best way to find used transmissions for reasonable prices. Since we can match you with a variety of competing brokers, you can choose the price that’s right for you. Replacing a transmission is a time consuming and expensive issue. Before you start shopping for a used transmission, it may help to go over the basics of transmission failure and replacement in order to gain a better understanding of what you’re looking for. But first, it is crucial make sure that your transmission has actually failed and is not something that can be resolved without all of the expense of an emplacement. Manual shift transmissions are not as complicated as the automatics on the market today, fewer computers, sensors, clutch packs and no torque converter. With a manual shift transmission, the symptoms are usually very easy to detect – the first signs of a problem would be shifting problems. The gears may grind between certain gears, exhibit excessive whining or even jump out of gear. These are common symptoms of having bad synchronizers, which in many cases, require the transmission to be removed and torn down to be repaired. What are signs of Transmission Failure? There are several ways to determine if your transmission has failed or if it just needs repairs. You don’t have to be a professional mechanic to know when your transmission is failing if you know what signs to look for. Most late model vehicles that have an automatic transmission are equipped with a transmission control computer. This transmission computer receives data from the vehicle and shifts the car as needed. Because the transmission is controlled by the electrical computer system, sometimes it can seem as though your used transmission has failed, but it may just need minor repairs performed. Leaking fluid: If you notice bright red, dark red or dark brown stains on the ground after your car’s been parked for a while, that’s a sign that your transmission is leaking. A word of caution: Don’t try to refill your transmission yourself, since overfilling it can cause even more damage. Instead, visit a local mechanic. Less-than-smooth shifting: If your car seems to thud or clunk between gears or has trouble getting up to speed, your transmission is trying to tell you that something is wrong. Transmission slipping: Transmission slipping can manifest itself in a variety of ways. If you feel like your car is randomly switching gears, struggling, underpowered, failing to accelerate like it should or taking too long to engage into drive, there’s a good chance your transmission is slipping. Funny smells: Even if you can’t see your transmission fluid leaking, a tart, sweet or lightly burning smell can be a telltale sign that not everything is as it should be. Strange sounds: Although strange noises coming from your car can be the result of any number of problems, from engine failure to a malfunctioning air conditioning vent, grinding, whining, buzzing or humming sounds that occur whenever you switch gears (either manually or automatically) are likely indicative of a troubled transmission. Sudden and seemingly random transmission problems aren’t the only causes of transmission failure, however — the older a car is and the more mileage it has on it, the more likely it is that the transmission has deteriorated naturally from age and heavy use. So, if you have an older car or a car with many miles on it, it’s important that you regularly get the transmission checked by a professional. The longer you wait to get your transmission inspected, the more likely it is to develop a serious issue. Should You Replace Your Transmission or Your Car? Replace your transmission with a new or used transmission. Although it never feels good to learn that those are your only options, you’ll have to make a decision sooner or later. Do you dislike the car? Does the car have other significant problems outside of the transmission? Will fixing all the car’s issues be more expensive than buying a new car? Do you like or love the car? Is the car functional outside of the transmission? Will fixing all the car’s issues be less expensive than buying a new car? Once you have determined the transmission does indeed need to be replaced, locating a used transmission is a cost saving avenue to look at. ASAP Motors offers you a free, no obligation service that’s hard to beat. All you need to do is go to the page that best suits the make car you have and fill out the request form. If you have a Toyota Camry and you are looking for a transmission, just go to our Toyota page and fill out the boxes on our request form. Include your VIN, if you have it, to help the supplier get his quote correct, click send and you are done. It’s that simple! Sit back and watch as you receive bids from suppliers all over the USA. Carefully review and compare the information they send – the warranty info, shipping cost, and total price of the transmission. If you accept a bid from a vendor, they will ship the used transmission to your shop and then you will be back out on the road in no time. Happy Motoring! The cost of replacing your transmission will vary depending on the type of transmission you have. 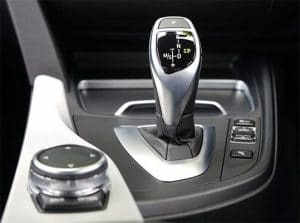 Automatic: By far the most common type of transmission, automatic transmissions use a planetary gearset, torque converter and clutches or bands to automatically switch gears without any input from the driver. 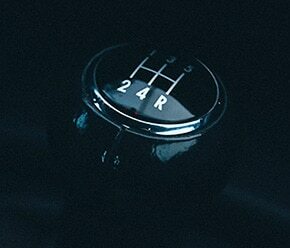 Manual: Manual transmissions, which according to Edmunds, are included in less than 3 percent of cars sold in the U.S., rely on direct input from the driver to switch gears. This means that the driver must physically operate a movable gear selector and clutch in order to switch from one gear to the next. If you’re looking for a transmission that takes the guesswork out of switching gears, as most Americans are, then an automatic transmission is the best choice for you. However, keep in mind that automatic transmissions are much heavier than manual gear shifts and may not always select the best possible gear, resulting in reduced fuel efficiency and slightly wasted engine power. On the other hand, manual transmissions require a lot of involvement from the driver. Although they’re cheaper and lighter than manual transmissions, they can only properly use the optimal amount of engine power if the driver is operating the clutch and gear shift correctly. Additionally, they’re more prone to stalling and are less easy to use in hilly areas or heavy traffic. Remember, though, that the type of transmission you use will largely depend on the type of transmission your car was originally designed for, unless you’re willing to invest a significant amount of money in order to convert from one type to another. There’s one more question remaining: Should you opt for a transmission rebuild or a replacement? In general, it’s more cost effective to replace a transmission than it is to rebuild it. Why? Because installing individual parts piece by piece takes mechanics much longer than it would to pop in a new or used transmission. This means that the cost of that extra time will be passed on to you, resulting in a higher bill at the end of the day. How Much Will a Used Transmission Cost? In general, a used transmission will cost somewhere between about $125 and $1,500, depending on the make and model of the car in question, as well as the type of transmission you’re purchasing. For example, transmissions for the Ford F150, America’s most popular truck, generally run between $400 and $900, depending on the year. Below, are some of the most popular used transmissions on the market today. With its small size, excellent safety rating and stellar gas mileage, it’s not exactly surprising that Honda Civics are a well-loved car. So, Honda Civic transmissions are a popular choice for customers all across the U.S., from first-time drivers to families. With accolades and sky-high ratings from “Motor Trend” magazine, Kelley Blue Book, J.D. Power, U.S. News and World Report and more, the Chevy Silverado 1500 is surely one of the most decorated trucks in its class. For that and many other reasons, Chevy Silverado 1500 transmissions are highly sought after by customers nationwide. Much like its close cousin the Civic, the Honda Accord has received excellent ratings from nearly every automotive publication in the country. It’s not just popular in the U.S., either – Canadian, Japanese and South African customers are fans as well. So, a sizable number of customers are in the market for Honda Accord transmissions. There’s not much to say about the Ford F150 that hasn’t been said many times before. Thanks to its impressive specs, iconic appearance and staggering towing capacity, it’s by all accounts the most popular truck in America. 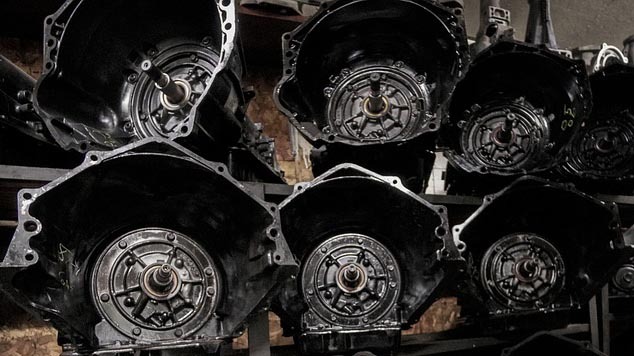 Knowing that, it’s easy to see why Ford F150 transmissions are always in demand. Available in both hybrid and traditional gas-powered configurations, the Toyota Camry boasts a bevy of high-tech safety features, generous space and excellent gas mileage. So, it makes sense that Toyota Camry transmissions tend to fly off the shelves. ASAP Motors offers customers the most comfortable and convenient way to find used transmissions for any car at affordable prices in their area. Once you complete and submit the form, you’ll start receiving bids via call, text or email from reputable auto parts brokers in a matter of just minutes. Since each broker is competing for your business, you’re free to choose the price and transmission that’s right for you (and your budget). Fill out the form to start receiving quotes for a quality used transmission now.